The Perfect Gift for the Expectant Mom!! Do you want your gift to be the life of the party? Are you hosting an elegant or exotic baby shower? Are you looking for something that'll make everyone go 'WOW'? I've got the gift for you! 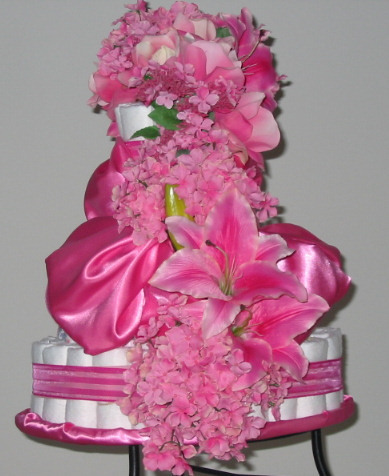 I create beautiful diaper cakes in many different designs. Let me custom-design a diaper cake for you!